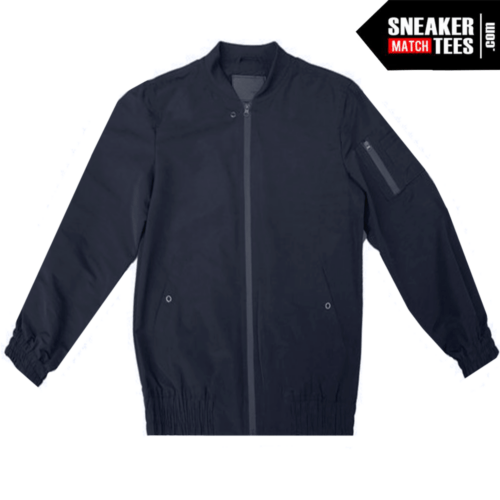 Wear this Navy Bomber Jacket with the Jordan 11 Win like 82, International Flight 12s, Jordan 5 Bronze, Michigan 12s, Jeter 11 lows, Navy 11 low IE, and Hornet 5s. Bomber Jacket Navy. Streetwear Light Weight Bomber Jacket for men. Sneaker Match Suggestion: International Flight 12s, Win like 82 11s, Michigan 12s, Bronze 5s, Letterman 1s, Jeter 11 lows, Hornet 5s, and Navy 11 low IE.